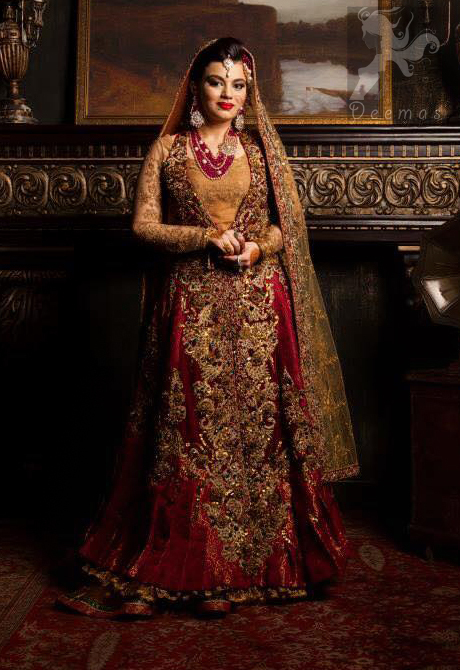 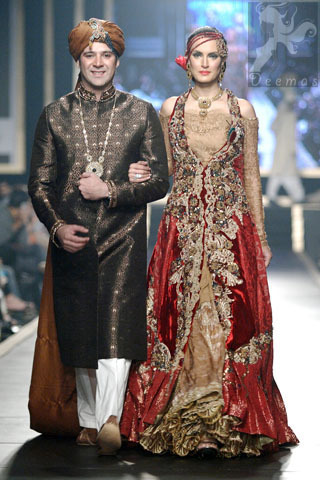 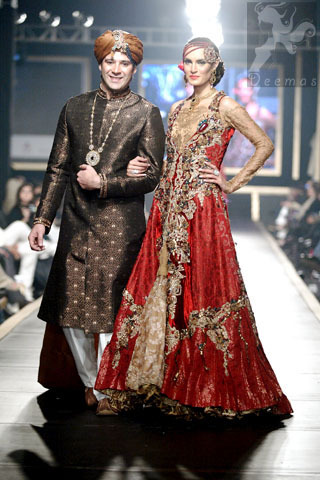 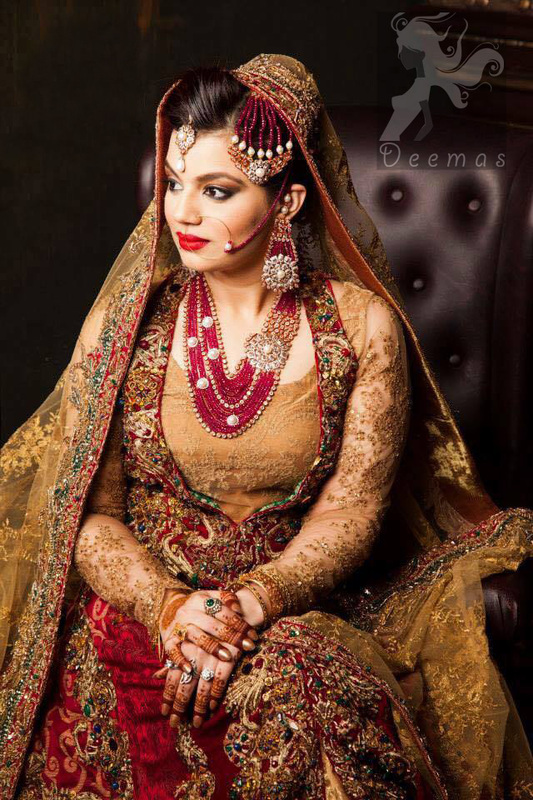 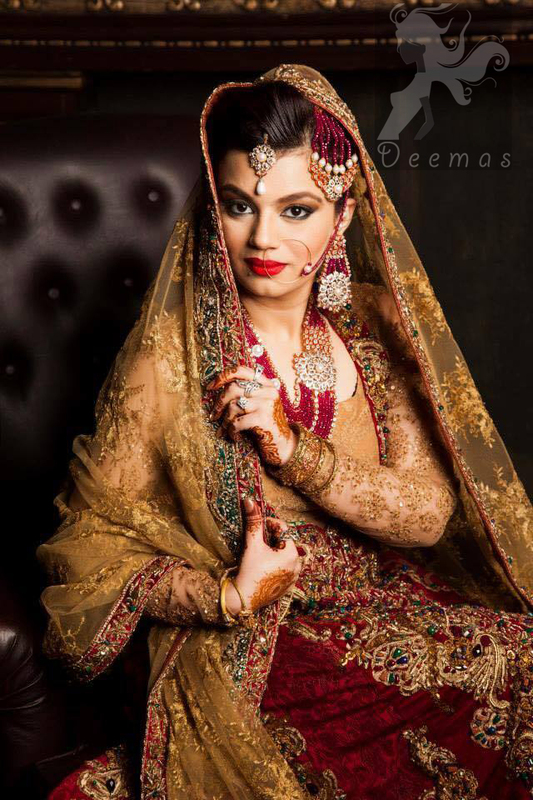 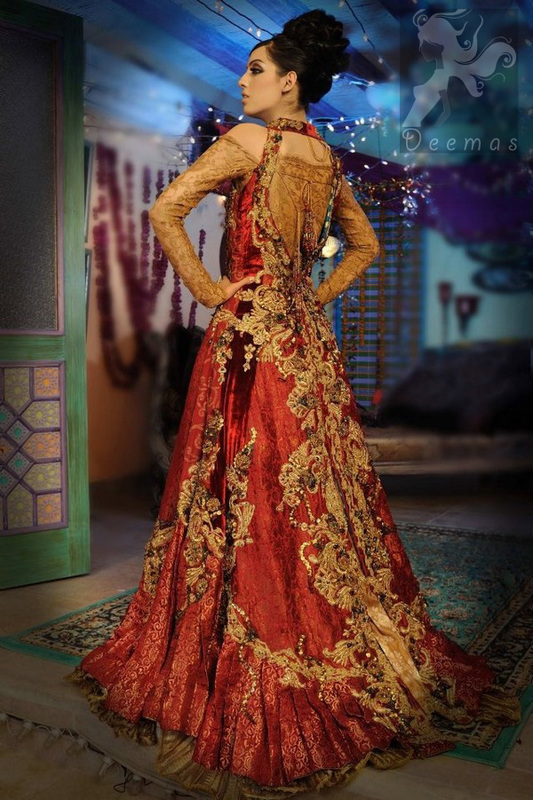 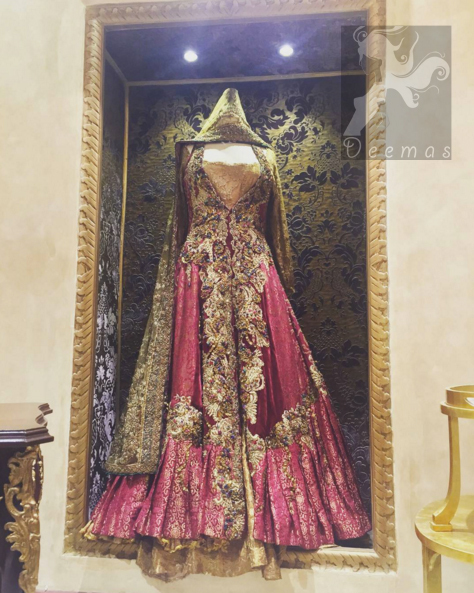 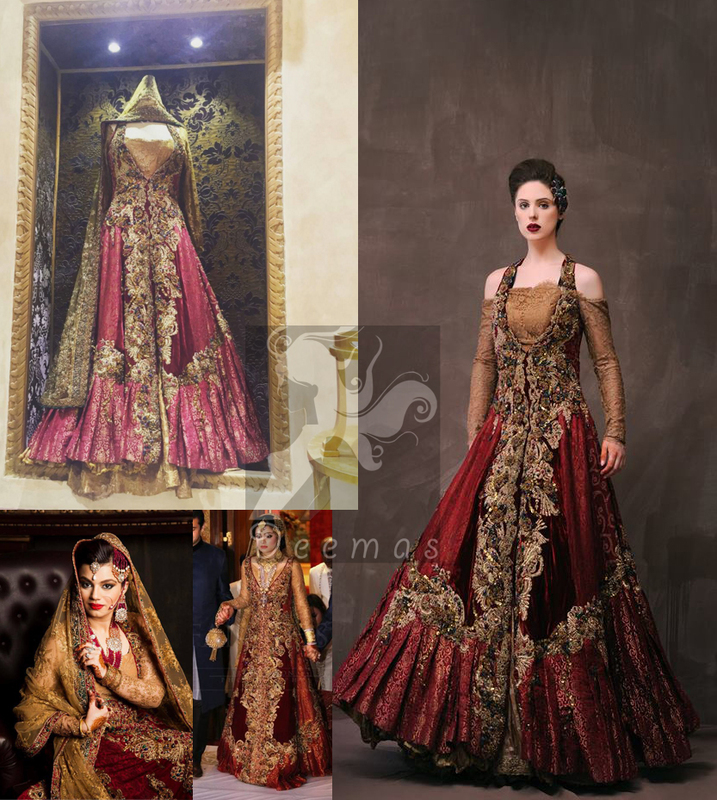 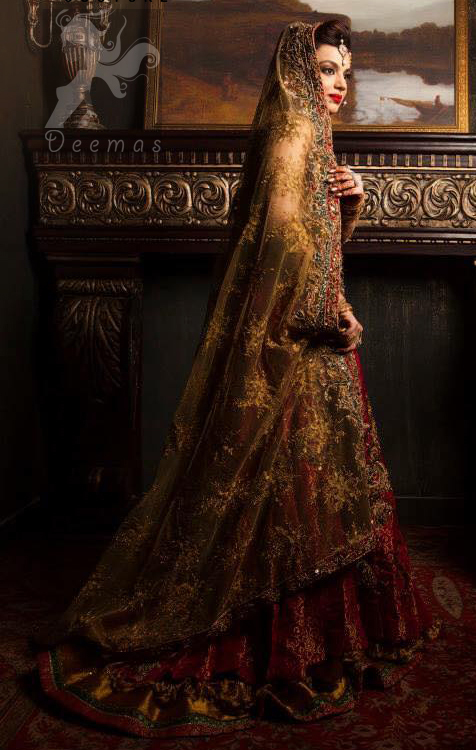 Tags: Baraat, Bridal, Deep Red, Double Layer, Front Open, Golden, Lehenga. 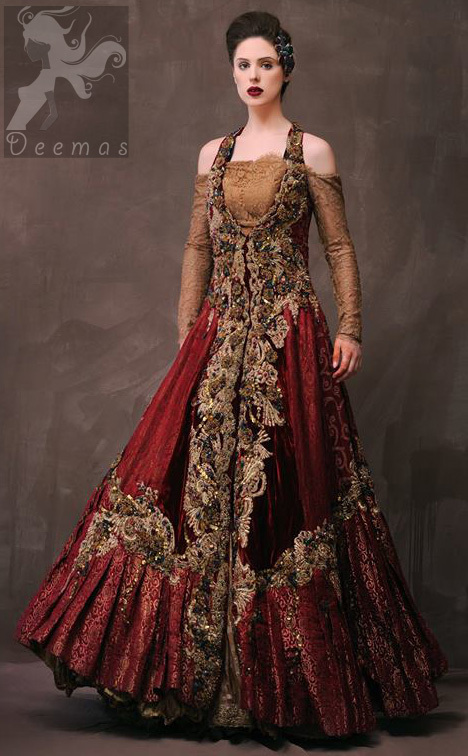 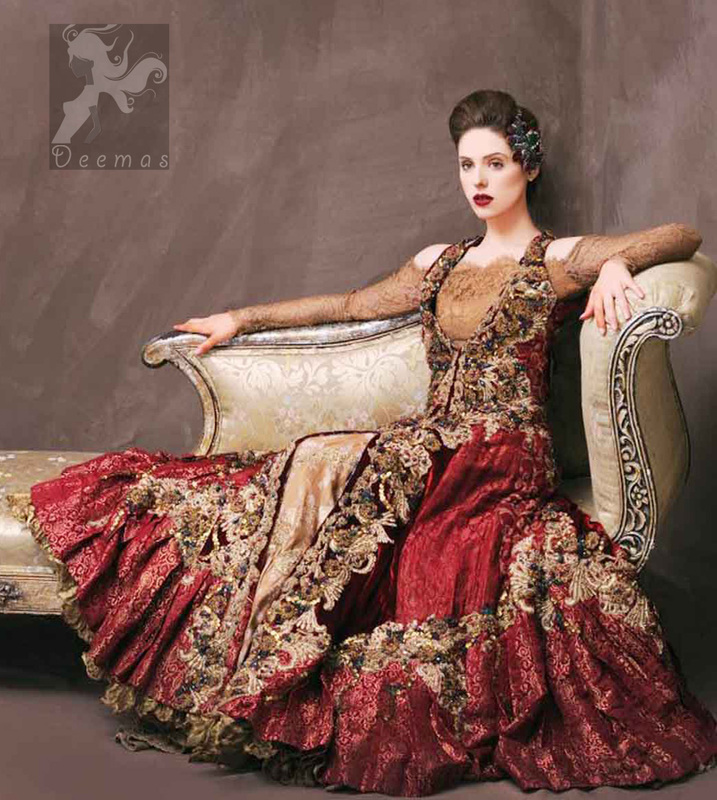 Deep red and golden double layer frock features stunning embellishment on front and back. 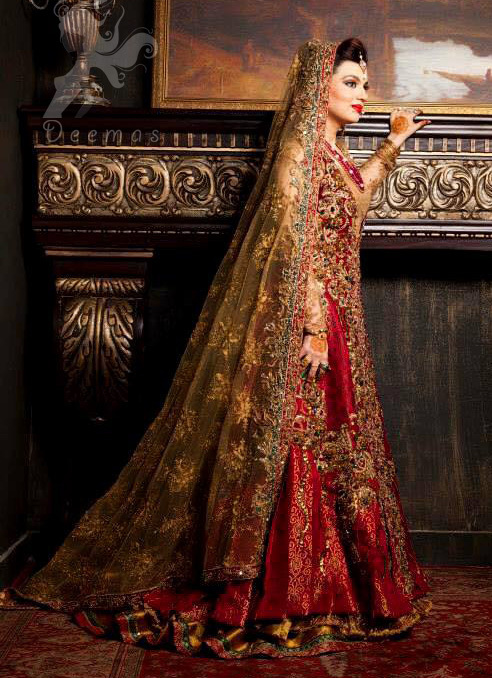 Golden net dupatta. 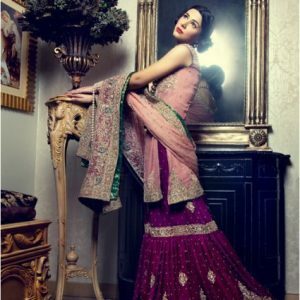 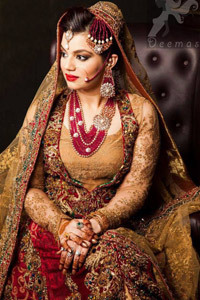 Dupatta contains embellished border on front side edge and comparatively lighter work border on rest of the three edges.